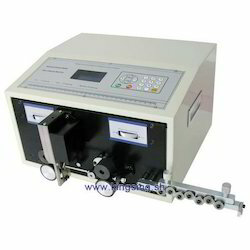 Owing to our rich industry experience, we are trading and supplying a qualitative Wire Stripping Machine. 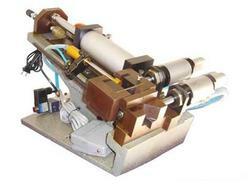 This automatic wire cutting and stripping machine has double function of cut and strip the cables. To ensure safe transit of this machine, we pack it in premium quality packaging material. Machinery parts: bearing, switching power supply, fan, electromagnetic valve and air pressure filter. One set TGK inner hexagon spanner free of charge. Backed by rich industry experience, we are trading and supplying quality-approved Wire Stripping Machine. Our offered range has special sliding pad, stable forward & backward stroke. Also, it is available with double cylinders due to which, there is no need to worry about the spring broken. Sliding design, easy for using. Double cylinders, no need to worry about the spring broken. Use oil & air auto feeding, oil the cylinder under regulate time. Reduce the wear and tear of cylinder inside, save using time. Air electric type controlling, easy to operate. Adjustable, it can be adjustable according to the wire size. Looking for AUTOMATIC WIRE STRIPPING & CUTTING MACHINES ?